I had been going to Spinning® Classes on a regular basis and riding a road bike for about 4 years but was somewhat overweight although, I think, reasonably fit. Certainly out on the road bike, I felt the presence of those extra pounds and lack of power as I struggled up some of the bigger hills around Guildford! 3) I changed my exercise routine to include resistance work and cardio work in the gym. I have to say that I didn't get too obsessive about items 1 and 2 above. For example: I tried not to drink alcohol in the week; I cut down on bread, pasta and potatoes; I stopped drinking diet coke and I cut out fruit yoghurt's. It really wasn't that difficult. In terms of exercise, I'm not a huge fan of going to the gym by myself but I stuck with it and worked through my routines. I carried on Spinning® too. The good news is that the results came pretty quickly. Within a few months my shape started to change and clothes that previously had mysteriously shrunk whilst in the wardrobe now started to fit me. When I was out on the bike I noticed a real change in the way I could attack nasty hills like Barhatch Lane and was also able to cope with long bike rides (100 miles) and not be totally exhausted. In July 2014, I went back to MEAE for another set of tests. I was really pleased with the results. I'd lost weight and increased my Resting Metabolic Rate, my Aerobic Threshold Heart Rate was up by 21% and my VO2 at Lactate Threshold was up by 14%. 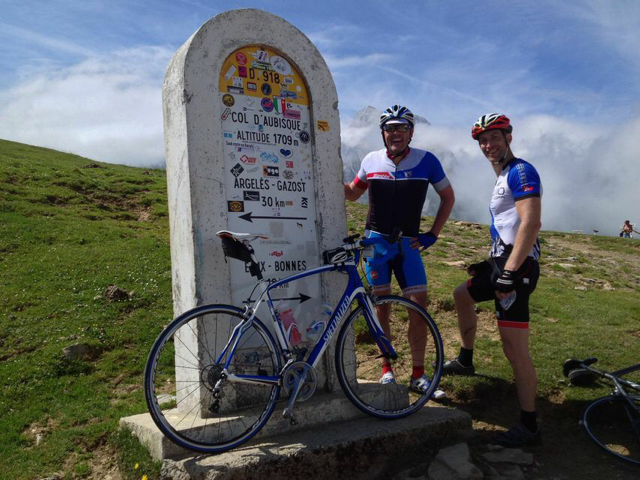 At the end of July I rode across the Pyrenees - a group of 7 so us did the RAID Pyrenean. In 4.5 days we rode 723km with about 16km of climbing. I would NOT have been able to do that 1 year ago without the help of MEAE. In particular, I tried to keep my heart rate below my Aerobic Threshold so that my legs stood a good chance of recovering each night. I managed to do this on all the climbs bar the brutal Col de Portet d'Aspet. Watch out for this one if you're in the Pyrenees. At least it's much shorter than the Aubisque and the Tourmalet! It was a pleasure dealing with MEAE. Michelle is extremely knowledgeable and approachable. You won't regret getting tested, whatever your goal is. 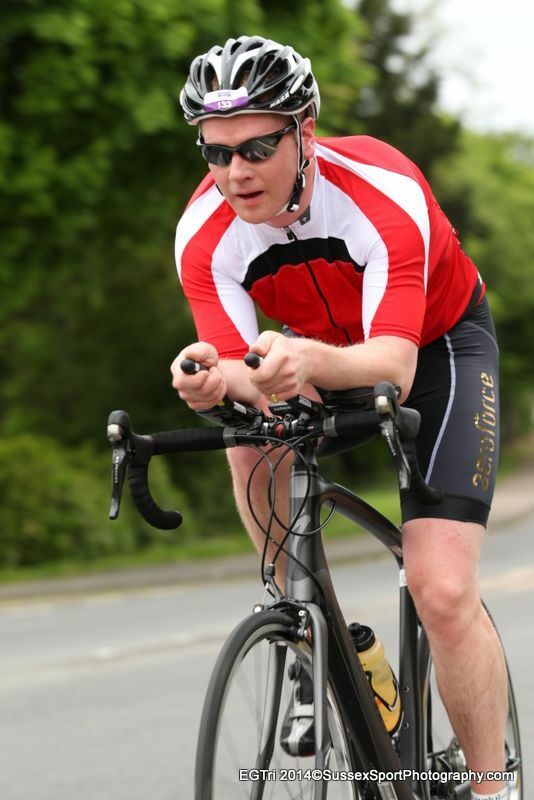 An update from my last Testimonial... On 15th June I completed my first big race of 2014, Windsor Triathlon, which I had been using as a focal point for my periodised training programme. I had set myself a goal for 2014 to achieve my first sub 2hr 30min Standard Distance Triathlon and using the knowledge gained through my VO2 max tests was able to fine tune my training towards helping achieve this. One week prior to Windsor Tri I read an article saying that the transitions were long and due to the number of participants it was not a good race to aim for a PB so I resigned myself to achieving my goal later in the year and just enjoying the Windsor race. I finished in 2:27 knocking a massive 15 minutes of my previous PB and have no doubt that this was down to having a focussed training plan built around the knowledge I gained from my testing with Michelle at MEAE! Now... well I suppose I need to find a new goal!!! 2:15??? 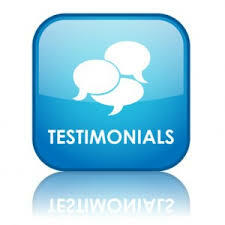 After the first test, Michelle advised on specific ways to achieve my goals, using the test results as a foundation... In May 2014 I had a follow up test having spent the winter undertaking a focussed, periodised training plan and the results are phenomenal - I have seen major improvements across every area of my fitness and have taken major steps towards achieving my race goals in 2014 - the whole process has been an amazing learning curve and I cannot thank Michelle at MEAE enough! I have always been a sporty person most of my life, doing sports like football, squash, water skiing, badminton, tennis and skiing. Then 10 years ago I got into Triathlons and started paying more attention to my fitness and diet and thought I knew how to train properly! After meeting Michelle Colvin of Meae.co.uk, my goal was to improve my fitness further, so I took the Resting Metabolic Rate Assessment and Cardiorespiratory Fitness Test that Michelle offered. This would give me my Training Zones for heart rate and more knowledge on fat burning and how much nutrition to take in whilst doing longer training sessions and competitions. I was tested in November and then continued to train specific to my heart rate and ability, there was no escaping the fact. The test measured my VO2 max and aerobic and lactate threshold heart rates. Since the testing, I feel like I have been training smarter and three months later was re-tested to find all my fitness measurements had increased. My VO2 max had increased by 22%, my lactate threshold had increased by 8% and all of this in only 3 months! And what has made this even better, it has been over the winter months and even improved my stamina on the ski slopes. I will continue to use Michelle and Meae.co.uk to be re-tested on a regular basis. I have been training in Michelle’s Spinning® classes at Guildford Spectrum for the past 10 years and have always used a heart rate monitor and followed the heart rate training guidance that Michelle provides in her sessions. Two years ago I also took up road cycling and joined a local club. 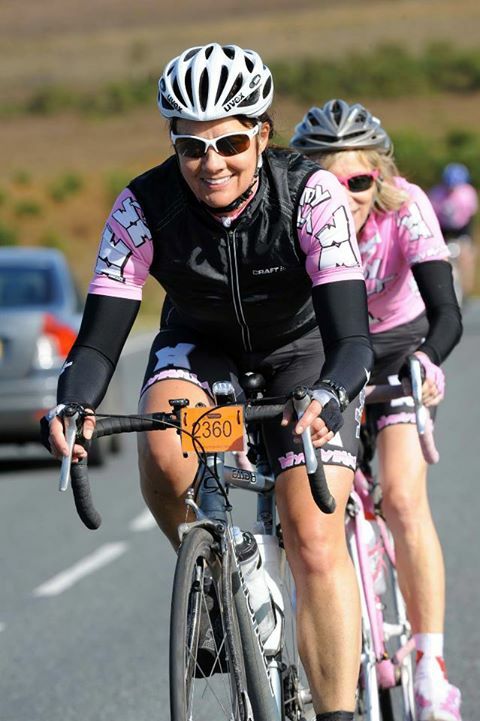 I had often thought about booking one of Michelle’s fitness assessments, as I could see the advantages of training with bespoke heart rate zone training guidance, but had never got round to it. It was not until I noticed, whilst cycling with my club, that my fitness (particularly on long hills) was not improving that I was finally spurred on to book up for a test in Autumn 2012. For me this has been one of the best decisions I have ever made, both from a health and training perspective. The test was conducted very professionally and a detailed set of results was produced. These appeared to indicate that too much of my training was at high heart rate levels and that I needed to focus on working out at lower heart rates levels for a much larger percentage of my training time. More importantly, it highlighted a low VO2 max for my fitness levels and indicated that there was potentially a problem with my breathing/ lungs. For years I have suffered with minor chest colds, infections and coughing and I had noticed that I was becoming increasingly wheezy during and after exercise and especially in cold conditions. Michelle could see from my results that something wasn’t right and recommended that I booked an appointment with my GP to investigate further. My GP listened to my chest (lungs and heart) and detected slight wheeziness and a heart murmur. I was referred to a Chest Physician who immediately diagnosed me as having lost 20% of my lung capacity – a pattern of decline that would have continued if left unattended. The next step was to establish why and numerous tests followed, including blood tests for a whole host of different things, a bronchoscopy, CT Scan of my lungs and an EGC of my heart. The results have shown that I have nothing serious – a form of Bronchial Hyper Reactivity possibly aggravated by an allergy to fungal spores (I am still awaiting the final blood test results). Without medical intervention my symptoms would have undoubtedly deteriorated and my lung capacity reduced further, adversely affecting my health and fitness. I am now using a couple of different types of inhalers and have to be careful when I contract infections that could affect my lungs, but with these precautions the consultant is confident that I can recover my lost lung capacity. If it hadn’t been for Michelle’s thorough fitness assessment, diligence and professionalism I probably would not have got to the bottom of my problems until they had become more serious and more difficult to turn round. I am not flying up the hills yet, but I feel for the first time in a while that I can take in a full lung of air and with patience and training in the right zones I am starting to see gradual improvements. Andy Maxwell, Cathy Johnson and Rob Lucey all benefiting from the Cardiorespiratory Fitness Testing performed by Michelle Colvin at Meae for their Training and Racing. WEIGHT LOSS / FITNESS IMPROVEMENT / ATHLETIC PERFORMANCE...YOU TOO CAN BENEFIT!